There is a great deal of information available on the “Special” children of the last thirty to forty years, generally described as Indigo, Crystal, Star, and Rainbow children. My own personal belief is that many of what are described as Indigo children have been here on earth for much longer than the thirty plus years that are accredited to them, and possibly for as much as one hundred years. So when you ware reading through this article, if you are older than your mid thirties then read carefully and see if some of these attributes fit for you. So where have these “special children come from? Many times we are told that they are alien or from another time, well good ladies and gentlemen, I would say to you that we are all ‘alien’ in that instance, we come to the planet we know as Earth to experience emotions, we do not belong here, it is not our ‘home’ except for the period of time that we choose to incarnate on it. Some where other than ‘here’ is where we return when we finish the task we have chosen to experience in this life. Now you may refer to that ‘other place’ as heaven, soul consciousness, the I Am, Nirvana, the all that there is, or any thing else you personally choose, I personally believe that where ever it is that you choose to go is home, and I refer to it as the coffee shop in the sky. Why then is there more awareness of these special children in this day and age, and why were people not aware of them earlier are questions which I am often asked by clients and friends alike. I will endeavour to answer these questions for you, and to give you some insight into the levels of recognising and dealing with or working with what are being seen as a new breed of children. We as a group or collectiveness on planet earth are becoming more aware of the issues around us and as we expand our awareness in many instances we are also more accepting of things which are different or not of the norm. If we look firstly at what are described as The Indigo Children and their appearance on our planet in the last one hundred years or so we need to travel back through time to the very early 1900’s. These special souls were the pioneers of the new age, long before it came into vogue and many of them were here to pave the way for the changes to come. A good many of them may well have been responsible for many of the technologies which came around the time of the First World War, [WW1] airplanes, tanks, and similar innovative designs and ideas. So what is an Indigo, the term "Indigo" was given to this generation of people because it most accurately describes the colours and energy patterns which can be seen in their auras by people who see or read these patterns. Indigo children are said to have a lot of indigo blue in their auras, or the energetic fields which surround them. Indigo is the colour of the "third eye or brow chakra", which is the energy center inside the head located between the two eyebrows. This chakra is said to regulate clairvoyance or the ability to see clairvoyantly / clear seeing the energy around another, as well as inner visions, and spirits, it is also related to intuition, imagination and connection with ones inner wisdom. Indigo children and adults appear to have increased in numbers since the end of the Second World War, [WW2] and it is only of recent times that I have looked at my own gifts of intuition as being related to the Indigo label. We are told that in the 1970’ that a major wave of Indigo children were born, and I would acknowledge this with the births and lives of two of my own children, who were both sensitive and aware. I do not intend to go into the higher explanations of the spiritual reasons for the advent of the Indigo children as a fore runner to the later accepted and acknowledged levels of the Crystal, Rainbow and Star children, as there is a great deal of information available on these subjects and I will provide suitable references to them. Many Indigo children have been diagnosed as having behavioural issues and labelled with conditions such as attention deficit disorder (ADD) or ADHD (attention deficit hyperactivity disorder) and are in many instances medicated with drugs like Ritalin. Frequently complaints from teachers about the were about the lack of attention, short concentration span, or the inability of increasing numbers of children to remain still, play a large part in the child being prescribed supposedly calming drugs such as Ritalin, a drug which supposedly ‘quiets’ behaviour, and the child is more malleable and manageable. As an Alternative practitioner I personally do not agree with drugging any child, and prefer to look at the reasons for the behaviour the child is exhibiting, and alternative ways of dealing with it. Reports by psychologists frequently show that these children have an above average age-level ability in at least one area [often reading or a creative bent] and sometimes in several, but may fail at school and much of this is the child being ‘told’ that they can't learn, or being singled out as being disruptive. There appears to be a frequent overlap between the indigo children, and those who are labelled ADD/ADHD, of course not all ‘Indigos’ are ADD however, and not all ADD children are Indigos. Many Indigo children do not perform well in school, but may show occasional bursts of genius. Others cope, but remain quiet. They will participate willingly, if they allowed to contribute meaningfully, and prefer to be asked rather than spoken to in a commanding, patronizing, or authoritarian manner. Now if you are the parent of an Indigo child, it is very likely that you may be an Indigo yourself, it takes a special parent to rear a special child. Crystal children are said to have embodied a more crystalline DNA structure and as such they are often extremely powerful in their own right and yet extremely vulnerable as well. They are seen as highly evolved beings and to have an understanding of what simple energy really is. The crystalline energetic makeup of these children may cause unusual reactions to electrical devices, as it may also to some of the more highly evolved Indigos. They may have some challenges defining their own energetic boundaries and therefore, are empathic to electro magnetic fields. It may be quite common for Crystal children to blow out electrical equipment until they become accustomed to the energy of such devices. Many of the Crystal children have great sensitivity to the emotional energy fields of others and it is this sensitivity that allows them to be intuitive healers, it is as if they are inside your heart and inside your head both feeling and knowing your innermost thoughts and fears. This sensitivity may cause problems for Crystal children as they may take on the energy of other people and think it is their own own. Some Crystal children are so sensitive that they may feel threatened by the harshness of what people are holding in their hearts and minds and find safety in retreating and going within themselves. Many people and especially children are attracted to Crystal Children, they tend to have soft eyes and winning smiles, they are the type of baby that melts the heart and even the most hardened adult will tend to stop and say hello or exchange some time with these special souls who tend to be very loving and forgiving, very nurturing, especially towards younger kids and animals. They often love to be cuddled, kissed and hugged, and can be very affectionate with other children and parents as well, they are usually very empathic and will often ask others how they feel or notice when people they are close to are unwell or upset. They often communicate telepathically and may have what appears to be delayed speech development because of their telepathic abilities as they do not feel the ‘need’ to talk and will mentally indicate their needs and desires. They are observed to be very empathic, and they will often ask others how they feel, noticing when loved ones are sick or sad. Often they may have food allergies or reactions to certain foods especially the AZO dyes and artificial colours and flavours and may appear to be ‘picky’ when it comes to their food choices; generally it is their bodies’ natural intelligence indicating which foods resonate with them. We have been told that there are no new souls being born into this universe and that old souls are coming in to this lifetime to experience ascension, as this is the easiest lifetime there has ever been to achieve that. Now whether that is true or not it would appear that most of the ‘children’ who have arrived over the late 1990’s and early 2000’s are little people rather than babies. These ‘adults in small bodies’ as I have often described them will be playing their children’s games one moment and testing your mettle in the next. Some four years ago now my then four year old granddaughter sat on my lap during one of my very irregular visits to my extended family, and was playing with a large clear quartz crystal I was wearing around my neck. She commented that the chain it was on was too long, and to humour her I told her I would change it for a shorter chain when I returned home. This pretty small girl made direct eye contact with me, picked up the crystal and literally slammed it into my chest as she informed me ‘It needs to sit on your heart chakra Nanny’ and then got off my lap and walked away to play. Not only an unusual comment from a four year old, however a very unusual comment from a four year old in a household where my sons family would not know what a chakra was were it to rise up and bite them. I admit to a private smile to myself at the time. If you ask a ‘Star Child’ what he or she wants to be when they grow up, their answer may well be ‘I don’t know’ or ‘it doesn't matter’ Of course, over time they all learn quickly to verbalize something to satisfy their parents, grandparents, and teachers. They tend to live in the moment rather than plan for a future. Star Children tend to grow up being multi tasked and multi talented, for example doing their maths homework while watching Television and listening to a walkman at the same time. The phone rings and a free hand is instantly peeling off one side of the headphones to add yet another bit of input to an already busy brain. The Star child’s brain appears to be a multi-track device. Each track or level spins at its own frequency, and their conversations, especially in casual groups, often go every which way at once. Their greatest joy appears to be random personal expansion, and their biggest nemesis is boredom. Many of the Star children are medicated in one way or another through our society’s habit of ‘quietening’ active thinkers and busy minds with behavioural medications / drugs to compensate for the lack of understanding of these special children. For the Star children, who tell it like it is without thought of the consequences that their words might evoke in others, they are totally connected and operational in their own being and live within a kind of flow which is an alignment that happens between nature, circumstance, and their deeper inner self. They are truly functioning at all times from this balance of spontaneity and Oneness with All That There Is. The Star children I believe are connected to the eighth chakra and incorporate the total integration of all levels of consciousness. Rainbow ChildrenThe word passionate does not even begin to describe most rainbow children’s personalities, they tend to charge forward with their voice on extra loud volume, doing this, doing that, they hardly ever stop to sit down or rest for a moment, and they may exhibit a distinct lack of patience, in their mind they are manifesting their desires, and expect them to appear instantly. Rainbow Children tend to have very strong wills and personalities as well as a passionate creativity and an enthusiasm for everything in life. They often exhibit both the telepathy and healing qualities that are common to Crystal and Star children as well. Rainbow children appear to use a combination of all of the colours of the chakras which create the colours of the rainbow, red, orange, yellow, pink, green, blue, indigo, and violet, as well as the newer colours of magenta and gold. Donohue, Andrew. 'Quick fix' concerns over drug," Sacramento Bee, Dec. 23, 2000. RecommendationsSensitive and Special children especially those with the Indigo, Crystal,, Star and Rainbow attributes, as well as children who’s outer energetic fields have not been turned on by the process of a natural unassisted vaginal birth [see the article on Kinesiology in this section] may be sensitive or have an allergic reaction to certain dyes in clothing known as the AZO dyes, [Red, Yellow, Blue and Green] and also to food additives, flavourings and colourings. Many of these allergic reactions are caused by toxicity in the body, often from conception onwards, and in most instances parents have no idea at all of the toxic swamp which their unborn child is developing in ‘in utero’. Environmental Causes of Toxicity, and where do these toxins come from? On a daily basis the average human-being lathers, sprays, and coats their body with an enormous variety of toxic products, most of which are absorbed through the skin or the mouth and stored in the cells of our bodies. What are these toxic products? And why would we willingly put them in or on our bodies? Let us set the scene for the ‘average and uninformed soon to be new parents’. The alarm rings and he bounces out of bed and moves into the shower. Under the steady stream of hot water (generally containing Fluoride and Chlorine) he scrubs his body with Ammonia, Formaldehyde and Phenol (otherwise known as soap). His lungs, in the steamy bathroom, fill with chloroform (a by-product of the chlorine vapours produced in hot showers). Studies of animals who drank water containing chloroform developed cancer of the liver and kidneys, indicating that this chemical may be a cancer risk. Next, he shampoos his hair with DEA, and Sodium Lauryl or Laureth Sulphate. Rinsing the shampoo, he may apply DEA and Propylene Glycol to keep it conditioned. Then he generously lathers a combination of DEA and A- PINENE on his face to facilitate his daily smooth- shave. He then sprays scented Aluminium under his arms. He admires the new silver fillings as he brushes his teeth with FD&C Blue, Sodium Lauryl Sulphate < Saccharin and Fluoride. These fillings are often described as silver to disguise the u- to 40% mercury content in them, and are exactly the same as we daily put into the mouths of children. Inhaling and swallowing mercury vapour may lead to poisoning of the system and lead to long term neurological damage. Then he rinses and gargles with Ethanol and Phenol Alcohol, disguised in a well-known mouthwash. A quick spray of Tolulene and Benzaldehyde makes sure he smells his best for the day. As he heads out of the door on his way to work, he grabs a cold sports drink from the refrigerator. Hey it’s got a cool neon green colour, (made from, a petrochemical colouring, add in some salt water and some processed / artificial sweeteners and many of these ingredients may be harmful). His favourite Hot Dog he is planning for lunch is preserved with Sodium Nitrate, (known as a carcinogenic agent and implicated in brain tumours in children, also a contender in the leukaemia, pancreatic cancer, and colon cancer to name a few). **If you are wondering if these poisons are being absorbed through his skin, cut open a clove of garlic and rub it on the bottom of your foot and see how long it takes to taste it in your mouth- about 3 seconds! So what have these products exposed him to in a matter of minutes? Bar soap has a PH of 9, which removes the protective acid mantle of the skin making it more alkaline and therefore more vulnerable to penetration by foreign substances. It also contains Ammonia, Formaldehyde, and Phenol, 3 ingredients that are known carcinogens and triclocarbons. Especially avoid any soap labelled anti bacterial, it’s a toxic cocktail of chemicals designed to kill life. That’s how it kills bacteria. It also harms people, especially infants and children. Shampoo contains Cocomide DEA, which is associated with carcinogenic Nitrasamines and Sodium Laureth Sulphate, a known mutagen. Hair tints and dyes contain Quaternium-15, which release carcinogenic Phenylenediamine. Conditioner contains DEA and A- Pinene, a chemical that damages the immune system. Polycyclic Aromatic Carbons [PHA], known as xenoestrogens that can mimic Estrogens in the body. Dusting Powder contains Talc, a substance like asbestos. When Talc was combined with a common air pollutant Benzo [A] Pyrene, it induced tumours in 80% of the animals tested. Many scientists believe Talc should be placed on the ‘Known Carcinogens” list. Many deodorants have Aluminium, which is being connected to Alzheimer’s disease and more recently to Breast Cancer. Toothpaste contains Saccharin and FDC Blue #1, which are carcinogens. It also contains Resorcinol, which can cause a blood disorder [methamoglobinemid], convulsions and DEATH. Fluoride is also a known carcinogen. Mouthwash contains 20% Ethanol, which is suspected of causing oesophageal cancer. It also contains Phenol, which can cause fatal poisonings through skin absorption. Skin moisturiser contains Phenol Carbolic Acid that can cause circulatory collapse, paralysis, convulsions, coma and death as a result of respiratory failure. It also contains PEG 40, which contains dangerous levels of Dioxin and Propylene Glycol, which studies show can negatively alter brain waves and cause liver and kidney disorders. His wife, very pregnant with their first child, has a Doctor’s appointment. She is not aware that the shampoo she washes her hair with may contain Sodium Lauryl Sulphate, a detergent found in 90% of shampoos [the greatest concern of many scientists] or that this chemical has been shown to damage the eyes of young animals, and some Doctors think these chemicals may cause eye damage and blindness in babies and young children. Sodium Lauryl Sulphate [SLS] is absorbed through the skin and builds up in the eyes of young animals in clinical studies. It penetrates through the skin and eyes, and is also held in the brain, heart and liver. A single drop of SLS is said to stay in the brain for 5 days, and it does not have to be absorbed through the eye directly. How much of this toxic chemical is absorbed through the placentas into the unborn child? Anywhere it touches the skin it is absorbed. Children under the age of 6 are especially in danger of eye damage and possible blindness. Wanting to look good for her appointment at the Doctor’s she applies a thin film of Phenyl Carbolic Acid, Dioxin and Propylene Glycol over her face to reduce fine lines. Today she will wear foundation and a little FD&C RED #3. And better add some Iron to her eyes as today is a special appointment. A little Toxic and Mutagenic Ascorbyl Palmitate to line her eyelids, and a stroke of Bacteria and Polyvinyl Pyrrolide [PVP] to her lashes. Then a careful application of Paraffin, which is a mixture of Hydrocarbons and is derived from Petroleum known to be contaminated with the carcinogens Benzo-A-pyrene and Benzo-Fluroanthene to colour her lips. She sprays her hair with Polyvinylpyrrolidine [PVP], which reports show may cause harm if the particles are inhaled. [Modest doses fed to rats caused tumours], and finally her favourite perfume which contains Toluene, a suspected potent carcinogen that has been found in every fragrance tested, and Benzaldehyde, which is a central nervous system depressant and may cause kidney damage. On her way to the Doctors she will stop and purchase some supplies for the new baby. No one has told her to look for baby wipes that contain aloe because many of these will have Propolyne Glycole, which is also in baby lotions. That well-known brand of baby shampoo that has been recommended to her also has a local anaesthetic to freeze the baby’s eye so that it doesn’t cry if it gets the shampoo in its eyes. Breakfast, and the high levels of sugars in the juices and cereals she has consumed, are also fed into the baby causing it to be more active, and the AZO dyes in that chocolate biscuit she just can’t do without, (it’s the ‘cravings” you know). Not to mention the MSG that will liberally coat the famous chicken she plans on snacking on for lunch and the high amounts of phosphoric acid [a substance that can dissolve bones and cause a loss of bone mineral density] in the cola drink that comes with the take away meal. [Phosphoric acid can cause massive tooth decay as well as issues with shrinking jaw bone and overall skeletal fragility and these toxins are all force fed into the tiny life within her womb]. Walking outside to the car for the drive to the Doctor’s she breathes in the toxic residue from car exhausts going past, and also from the factory chimneys in the adjoining neighbourhood, her body oxygenates her blood as she breathes in and these toxins also cross the placenta and ‘feed” into the babies blood stream. The mattress she is collecting today for the babies cot has very likely been sprayed with extremely toxic flame retardant chemicals. These are easily absorbed through the skin of infants and children where they may contribute to not only an unknown quantity of neurological disorders but also to the suppression of the immune system. The information she has been given on the ‘necessary vaccinations’ her child will need to have do not mention that they may be preserved with Methyl Mercury, one of the most toxic forms of this toxic heavy metal. It will be injected directly into the blood stream of her tiny child where it is very likely to cause severe neurological damage, autism and in some cases- death. Aromatic hydrocarbons such as Benzene, Benzo [a] pyrene. Dibenzo [a] anthracene and 1-nitropyreneare produced by incomplete combustion of fossil fuels. Benzene is used to make other chemicals which are then used in the manufacture of resins, rubbers, lubricants, dyes, detergents, and pesticides, as well as nylon and synthetic fibres. Benzene is also a natural part of crude oil, gasoline, and cigarette smoke. Benzene is a cancer-causing agent that may lead to leukaemia and cancers of other blood forming organs. These hydrocarbons are known to be breast carcinogens. Cadium, Mercury, Lead, and other heavy metals may also be absorbed through environmental factors and exposure. Chloroform [chlorine vapours produced in hot showers with chlorinated water]. Asbestos, - the name given to six fibrous minerals that occur naturally in nature, commonly used in building materials and friction products such as brake pads, heat resistant fabrics, packaging and even in some ‘talc’ products. Asbestos has been classified a carcinogen that may cause cancer in ‘some’ people. A combination of cigarette smoking and asbestos dramatically increases ones chances of developing lung cancer. Industrial and agricultural chemicals and pesticides [including chlordane and heptachlor], Chlordane is a man made pesticide that was used on crops such as citrus and corn. Banned in the US in 1988 it can stay in soils for more than 20 years. Many forms of cough mixture have high chloroform content. Polyvinyl chloride [PVC] Chronic exposure to electromagnetic frequencies eg power lines, unshielded video and computer terminals, television, radio waves, and electric blankets may all have a detrimental affect. Barbecuing, frying and overheating of dietary oils leads to the production of carcinogenic benzopyrene and toxic polyhydrocarbons [PAH]. Burnt or browned foods such as burnt toast or fried pork. Meats containing antibiotics and steroids. An excessive intake of oxidised fat and modified vegetable oils. Food additives or contaminants, including artificial additives, artificial colours and flavourings, artificial sweeteners [saccharin] propyl gallate, sulphites, BTV, BVO, BHA, MSG sulphur dioxide, food colourings most of which are synthetic chemicals that do not occur in nature these include Amaranth [red dye no 2] Blue no 1,[Code no 133] Blue no 2,[Code 132] Carbon Blacks [Code no 153] Citrus Red no 2 [Code 123, FD@C Red no 2] Red no 2G[ Code no 128] Red no 3 [Code no 127, Erythrosine, FD@C Red no 3]Red no 40 [Code no 129, Allura Red, FD@C red no 40] Yellow no 2G [Code no 107] Yellow no 5 [Code no 102 Tartrazine, FD @C Yellow no 5] Yellow no 6 [Code 110, Sunset Yellow FCF, FD@C Yellow no 6]. Annatto 160b (from the seed coat of a tropical tree) is the most commonly used food colour in our food supply. It is found in a wide range of both healthy and junk foods, from breakfast cereals, yoghurt, mustard, margarine and crumbed or battered foods such as fish fingers to ice cream, biscuits and snack foods. Parents often choose foods labelled 'all natural - no artificial colours, flavours or preservatives' for their children, totally unaware that they can contain the natural colour annatto 160b which has been shown to affect more people than artificial colours. The reaction is likely to be more delayed than with artificial colours, which makes it even more difficult to identify. ***Beta-carotene natural colour 160, as found in carrots, is a safe alternative to annatto natural yellow colour and artificial yellow. Although Australian food manufacturers say it is too difficult and expensive to use, beta-carotene is used extensively as a colouring in Europe. Children generally grow out of head banging by the age of three or four. This is because the smallest children are most vulnerable to the affects of food chemicals - the affects of food chemicals are related to dose; and dose for weight, children eat, drink and breathe more than adults. As they grow, their tolerance increases. In autistic children, extremely food sensitive children, or those with a high intake of processed foods, episodes of head banging may persist. Brominated Vegetable Oil [BVO] gives the cloudy appearance to citrus flavoured soft drinks, also used as an emulsifier. Butylated Hydroxyanisole [BHA] retards rancidity in fats, oils and food that contain oils. Butylated Hydroxytolene [BHT] retards rancidity in oils used in cereals, chewing gum, potato chips and oils. Caffeine that occurs naturally in coffee and tea is also added to some well known concentrated soft drinks that may also contain guarana or other highly stimulating substances. Nearly all over-the- counter medicines for children contain multiple toxic substances such as chemical sweeteners, preservatives and additives. Many “children’s medicines” are actually more toxic than their adult counterparts because they are sweetened up and cosmetically enhanced with artificial colours made from petrochemicals. My daughter is allergic to mosquitoes and while we were doing an elimination diet she was badly bitten. Our doctor recommended daily double doses of claratyne liquid. On the second day my daughter started to talk incessantly and stutter a little (this had previously been a problem months ago). Then on day 3 at day care she became drunkish, socially withdrawn and stopped talking (selective mutism, although not gone, had improved on the diet). The staff at day care had been amazed to say the least about her improvement on the diet, so this was obvious. When my husband came home, he picked up the bottle of antihistamine and read the label, to my dismay it contained sodium benzoate! Well, that went in the bin, we got claratyne tablets, she had a half, and the next day at day care she was back to normal. Saccharin. The FDA proposed banning it in 1977 due to evidence that it causes cancer; it was gradually replaced by Aspartame, [now known to not be any better or even worse]. Sodium Nitrite, [Code no 251 and Potassium Nitrite [Code no 261] found in preserved and manufactured meats including bacon, ham, frankfurters, hot dogs, smoked fish and corned beef. Sulphur Dioxide [Code no 220] and Sodium Bisulphite [Code no 221] these sulphating agents prevent discolouration in some dried and frozen foods. They destroy vitamin B1, vitamin A and may cause severe allergic reactions as well as headaches, nausea, backaches, asthma and hyperactivity. Nitrates (249-252) used in preserved meats such as ham, bacon and hotdogs affect stuttering. Our two and a half year old son had difficulty with stuttering for a few months. After my sister-in-law, a nurse, told us about the potential dangers of nitrates for children, especially that it might contribute to developmental delays, we removed all nitrates from our son's diet and within about a week the stuttering was gone. Yesterday, our son went on an outing to the zoo with my mother. Strangely, his stuttering returned full-force today. I called my mother to ask what he had ingested for lunch and dinner yesterday. The glaring answer: a HOTDOG. Mashed potato challenge and stutter. Sulphites [220-228] are used in a wide range of foods including dried fruit, fruit drinks, sausages (not in meat in the USA) and potato products such as hot chips and dried potato. We did the sulphite challenge with Deb... mashed potato. My son was stuttering slightly before the challenge but by day 3 of eating ½ cup of Deb... mashed potato per day, his stuttering was so bad that he would not talk at all. His stuttering continued for 4 months after the challenge stopped. Two years later he has had no Sulphites and no speech difficulties. My son becomes hyper and stutters as a result of reactions to salicylates, amines, wheat, dairy, preservatives, colours and flavours. His older sister also stutters when reacting but she is more tolerant of foods and other reactions are milder. My son had been assessed by a speech therapist at the preschool. She diagnosed, as best she could – (we couldn't really keep Jack in the room much less anything on-task) - a severe expressive language delay and a moderate receptive language delay. Six weeks later when off wheat products, he was reassessed by the same speech pathologist, using the part of the test that Jack had not done due to being non-cooperative. This time he seemed to have no significant receptive language delay and was only mildly delayed in his expressive language. She said she had never seen a child change so dramatically within such a short period of time. … It took this family another year to discover that their child’s problem was not the wheat in bread, but the preservative calcium propionate. Fabric conditioners and dryer sheets are made with synthetic toxic chemicals that are not safe to use on children’s clothing. The fragrance chemicals alone are often highly toxic / carcinogenic and the other chemicals contribute additional toxicity to the clothing. Drier sheets have been implicated in house fires due to a reaction with heat in electric clothes driers. Air fresheners also contain cancer-causing chemicals and may promote asthma and other respiratory problems. household cleaners- just to name a few. Many aerosols use chemical propellants as well as synthetic toxic chemicals and these can have a severe effect on respiratory function and in some cases breathing and asthma related symptoms. Other things to avoid include: solvents, glues and paints, pesticides, and sun blocks, many of which contain harmful chemicals, and block the natural vitamin D which we require from the sun. Recently, we have learned that tampons are actually dangerous [for other reasons than TSS, or Toxic Shock Syndrome]: Tampons contain two things that are potentially harmful: Rayon [for absorbency] and dioxin (a chemical used in bleaching). The tampon industry is convinced that women need bleached- white products in order to view the product as pure and clean. The problem here is that the dioxin can lead to very harmful problems for women. Dioxin is potentially carcinogenic (cancer-associated) and is toxic to the immune and reproductive systems. It has also been linked to endometriosis and lower sperm counts for men. For both sexes, it breaks down the immune system. The Environmental Protection Agency (EPA) has reported that there really is no "acceptable" level of exposure to dioxin given that it is cumulative and slow to disintegrate. The real danger comes from repeated contact. A quote from Karen Couppert ["Pulling the Plug on the Tampon Industry"]: “I'd say using about 4-5 tampons a day, five days a month, for 38 years is "repeated contact", wouldn't you?” Rayon contributes to the danger of tampons and dioxin because it is a highly absorbent substance. Often patients are described by doctors as having food allergy or food intolerance. This can also be due to the build up of toxins and chemicals in the body and the reaction of the body to this overload on the cellular structure. A Food allergy is an immunological reaction to food proteins. An Allergy may present as in hay fever, eczema or asthma, while intolerance may present as a migraine, irritable bowel symptoms, and behaviour problems. Children are vulnerable to food intolerances because dose for weight they consume a higher dose of food chemicals than adults. Women of childbearing age are vulnerable because of hormonal influence. Senior citizens are vulnerable because ageing livers and kidneys are slower to excrete chemicals from the body. Exposure to toxic chemicals, pharmaceutical drugs or illness such as gastrointestinal infection can also trigger food intolerance. Food intolerance is much more common, affecting babies [through breast milk], children and adults. Some experts suggest 10% are affected, although, in theory, everyone will react if the dose of the food chemical is high enough, so you would expect more people to be affected as levels of additives rise. People with food allergies typically react to one or two foods. Allergy is produced by a combination of susceptibility and exposure so allergens vary. In Japan, buckwheat, and in the Mediterranean countries, lentils are common allergens. In Australia the most common foods are milk, soy, egg, peanut and fish. Allergies to the last two are more likely to last throughout life. With food intolerance, food chemicals such as 50 additives and some natural food chemicals are involved. These can be in many different foods. For example, asthmatics are most likely to be affected by sulphite preservatives (220-228) in a wide range of foods and drugs including fruit flavoured cordials and drinks, wine, bread, sausages and dried fruit and some medications. Food intolerance reactions can be delayed up to 48 hours or more. Identification of reactions can be difficult. When problem foods are consumed frequently, symptoms can appear to be a chronic condition rather than a food reaction. Allergic reactions can be itching, swelling, rash, spreading hives, vomiting, and diarrhoea, breathing difficulties and in the most severe of the allergic disorders, anaphylaxis can lead to collapse and death. By definition, anaphylaxis is an allergic reaction that involves two of the body's systems (eg respiratory and gastrointestinal or skin). Anaphylactic deaths as a result of insect bites or penicillin are usually very quick - within minutes - and due to cardiac arrest, anaphylactic deaths due to food allergies are usually due to suffocation (breathing difficulties). Symptoms of food intolerance can come and go and change throughout life, this can depend on or be affected by the levels of toxicity in the body. For an occasional antidote to a reaction, try a pinch of sodium bicarbonate in half a glass of water. Many a child has been wrongly diagnosed with the Autism Spectrum disorder when they have a toxic body Removing the toxins can make an enormous difference as the following testimonial will show. When my son Ryan was about 18 months old, I had some concerns about his development. He had just barely started walking, did not play like other children his age did, and didn't say any words. In fact, he barely babbled. I had him evaluated by the early intervention team, which included a speech therapist, special ed teacher and a physical therapist. It was determined that Ryan "might" be autistic. Since then, Ryan has undergone therapy sessions three times a week, and while there were improvements here and there, I was still very concerned and losing hope that Ryan would ever do the things other kids his age were doing. A couple months ago, with Ryan around 20 months old, I started playing the detox program for him when he went to bed. Almost instantly, I started noticing some improvements. He started babbling the way babies do; and soon after began using some sign language that we had been trying to get him to copy for a handful of necessary words for basic communication. He didn't bang his head on the floor out of frustration as much, and started wanting to be cuddled- another thing that was a little "off" with Ryan previously, he never wanted to be hugged and soon after starting the detox program he looked for cuddles! Now, Ryan is 23 months old. He is running and climbing, speaking about 6 words consistently and appropriately, and continues to improve daily. The therapists still come to the house to work with Ryan, and are now saying they don't think Ryan has autism because of his quick improvements. Special Children’s Imagery and MeditationsOne of the most powerful attributes of these special children is their ability to visualise or imagine and this may be useful for parents as a way of creating a gentle relaxing or ‘time out’ time in the often hectic mental schedule of these beautiful children. 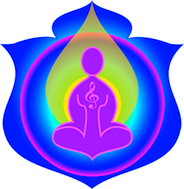 Many children will happily listen to gentle or spiritual music and this can be combined with the specialised mp3 programs which are available for Indigo, Crystal, and Star and Rainbow children. Or you can create your own gentle meditation by asking the child to close their eyes and imagine with you. By using a background music you occupy or keep busy the conscious levels of the mid and allow the child to access the deeper subconscious mind. Ask the child to take some deep breaths, [breathe with them to create a breathing pattern] and then gently guide them through a simple or a magical journey of creative visualisation. What was that small animal that crossed the path? Can you hear the waterfall? What colours does the waterfall have in it, silver, gold, rainbow colour? Walk through a garden, look at the flowers, which one do you like best? These are just a few of the ideas you can use with your child or a group of children. Many highly evolved children may report ‘special beings’ on their walk or journey, faeries, elves, angels or other beings. Often they may be some where other than on the earth and even out in the stars. These beings may present the child with a gift or a special thought, and the child can be encouraged to ‘place’ this gift or thought some where special in their body so that they always have it, and that only they can access it. Some years ago a colleague of mine had a children’s meditation which allowed the child to hang their worries on an apple tree at the entrance to a garden, and the worries became red apples on the tree. After an walk through the garden they returned to find that little grubs were eating away their worries, and that most of them were either gone or soon would be. Encourage Children to draw or design a picture or a project or act out their experience on the walk, often materials such as felt, soft fabrics and coloured papers can be combined with pencils and crayons to be an individual project. Many children will take you on an imaginary journey, if you allow them too. Or they will often adapt a journey that you have used with them. You are limited only by your or their imagination, and often a visualisation can be a combined effort from you both. Allow yourself to enjoy also, and see where the journey takes you. As a Vibrational Kinesiologist and also the mother of five children, two of whom, now well in their thirties suffered from severe learning difficulties, the issue of children and learning / behavioural problems has been one which has been close to my heart for many years. Much of my work over a number of years has been with children who have often been misdiagnosed with labels such as ADD and ADHD, as well as the Autism Spectrum disorder, and other ‘syndromes’. Often these children are labelled with these conditions as they do not fit into the ‘Normal’ classifications of the educational departments for their age group or level of progress. Indigo Children for example are visual spatial or right brain dominant, which immediately poses a possible problem to the current education system. These children like challenge, change and flexibility. They do not fit well with regimented learning, they may show brilliance in creativity, whether in creative analytical thought, creative speech, writing, art, music or creative exploring of ideas or ideals. Experts' opinions differ as to what ADD actually is and this causes even more grief and confusion for parents and those children supposedly suffering with the ‘symptoms’. Some years ago we were told that ‘ADD (and ADHD) ranks among the most common neurological disorders among American children, affecting up to 5 percent, or as many as 2 million, at any one time. In fact, in every classroom in the United States you can expect to find at least one child with ADHD. While it is not itself a specific learning disability, ADHD can interfere with concentration and attention, making it difficult for a child to do well in school and in social situations’. This statement could now read it would be true to say that in most classrooms around the world you might find it difficult to find a child who has NOT been classified with some sort of disorder and placed on an ‘appropriate drug therapy’ . ADD/ADHD is a baffling and frustrating disorder due to the fact that experts do not agree on its exact cause or causes. There are many theories and much debate. Both the National Institutes of Health Consensus Development Conference (1998) and the American Academy of Paediatrics (2000) report on ADHD have confirmed that there is no known biological basis for ADHD. One prominent neurologist stated: "The more you study hyperactivity or ADD, the less certain you are as to what it is, or whether it is a thousand different situations all called by the same name." Another leading neurologist stated: "No single cause has yet been identified for ADHD. In fact, ADHD will probably one day prove to be an umbrella term for a number of associated disorders." "There is no identified cause specific to ADD... We are left with the possibility that ADD may be a catch-all condition." "The exact mechanism underlying ADD remains unknown." The position that ADHD is not a proven syndrome has many advocates, physicians as well as educators. However, whether or not a syndrome exists, it is clear that many children have difficulty in school because of an inability to attend to tasks. Furthermore, experts' opinions differ as to what ADD actually is, and this causes even more grief and confusion for parents and those suffering with the symptoms. For example, the American Psychiatric Association lists fourteen signs, of which at least eight must be present for a child to be officially classified as ADD/ADHD. 1. Often fidgeting with hands or feet, or squirming while seated. 2. Having difficulty remaining seated when required to do so. 3. Being easily distracted by extraneous stimuli. 4. Having difficulty awaiting turn in games or group activities. 5. Often blurting out answers before questions are completed. 6. Having difficulty in following instructions. 7. Having difficulty sustaining attention in tasks or play activities. 8. Often shifting from one uncompleted task to another. 9. Having difficulty playing quietly. 11. Often interrupting or intruding on others. 12. Often not listening to what is being said. 13. Often forgetting things necessary for tasks or activities. 14. Often engaging in physically dangerous activities without considering possible consequences. Most people have learning capacities that are far greater than they use in their daily lives. Research has shown that most of us only use a small percentage of our learning potential, so why do we not learn more than we do. between the two hemispheres of the brain. Some children may have specific learning difficulties or problems involving the auditory and/or visual skills which are required for successful academic work. Learning difficulties are not limited to children who qualify for or require some sort of special education program or even those who are classified ADD or Adhd, Indigo, Crystal, Star, or even Rainbow children – a large percentage of children who are not learning efficiently do not have any of these special attributes or ‘problems’. Most of them are in regular class rooms, with trained teachers, however for a variety of reasons they just do not seem to be doing very well. I would like to discuss some of the reasons for these kinds of learning and behavioural difficulties. In my field as a Vibrational Kinesiologist I look at and test the ‘energy systems of the body’ the electrical and energetic levels which are not recognised in most instances in modern medicine, yet which play an immensely important role in the life of every living thing. Diabetes The Dawson Program also addresses or alleviates chronic or intermittent pain in shoulders, elbows, wrists, back, lower back, abdomen, chest, digestive system, pelvis, hips, legs, knees, ankles, toes. The Dawson Program alleviates or eliminates headaches, arthritis as well as correcting general conditions such as anorexia, bulimia, obesity, flatulence, hair loss and many others. The Dawson Program (Vibrational Kinesiology) is a system that is based on the study of the electrical fields, around which the human being is constructed, and through which we function; a system allowing an individual using an informed approach to apply the all-powerful concept of intent to corrections of the electrical fields in the Human Body. The technique employed is called Vibrational Kinesiology which combines Applied Kinesiology, Behavioural Kinesiology and Educational Kinesiology, together with ancient knowledge concerning the Human Body, knowledge sourced from ancient and modern cultures and from most of the major religions of the world. Malfunctioning electrical fields of the human body, cause ill health in the mental, physical and chemical structures and can be corrected using vibrational sounds. Vibrational Kinesiology', is a re-introduction of these techniques, can identify problems exactly, and correct them in one, two or three sessions. A qualified practitioner achieves this knowledge through extensive study and training. The practitioner learns how to correct the physical/emotional/chemical imbalances, allowing the innate intelligences that run the body to use the inbuilt self-healing mechanism to return the body to health and well-being. As part of the Program, the practitioner advises the client in the use of the Dawson Program Self-Corrective System: a post treatment follow-on System, for the client's health maintenance. The electro-physical features of the human body, identified and interpreted by Cameron Dawson after 30 years of investigation and with more than 12 years of clinical practice, forms the basis of the system of identification and correction. All observations will be brought to your attention, visually if possible. You will then be introduced to the benefits and use of Kinesiology (muscle testing). A detailed series of checks take place using Kinesiology to isolate possible problems within and without the body. Upon completion of the questioning, a variety of sound corrections take place. Your body now enters self-correct mode. Vibrational Kinesiology - is the secret of health revealed through knowledge of the body's energy systems. These comprise energy fields governing the basic structure of the body, the body's energy supply, protection systems and the life force. Vibrational Kinesiology - is the synthesis of 26 years of study by Cameron Dawson into how the body functions, the nature of illness and disease, and the body's ability to self-heal. The methods developed by C. Dawson combines this ancient knowledge with modern Western knowledge of the body's anatomy, physiology and pathology. Having to wait for the technology that could measure the energy fields known to the old cultures, Western scientific evidence came with Dr. Harold Saxton Burr, PhD, Lecturer in Anatomy and Neuro-anatomy at Yale University School of Medicine for 43 years. As early as 1935 Burr proposed that all living organisms have electric fields that govern their growth - a matrix or mould that preserves their shapes. His studies over the next 35 years proved these fields exist and can be influenced by external phenomena. A technique from 1898 for photographing an organism's energy field - "electrographic photography" - was refined in the 1940's by Russian scientist Semyon Kirlian and his wife Valentina, resulting in today's "Kirlian Photography", proving the existence of body fields. Rupert Sheldrake, a Cambridge biochemist and author, formulated an extended theory of morphogenetic fields based on Burr's findings. Vibrational Kinesiology (The Dawson Program) uses a number of different sounds, for re-establishing and maintaining the body's balance.